There are currently 4 users and 1602 guests online. good effort without electrics ! Im guessing your happy with the new electronics setup then hey? Quality deep drop fish. Nice work. Massive jigs - what weight - 1kg? 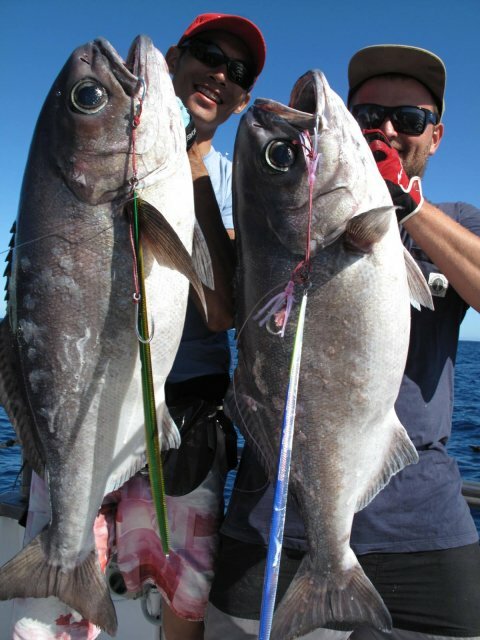 Great catch boys do you lads use big egg beaters or overheads on your manual setup. Do you mind if i ask what depth did you manually wind up those bad boys from and how did you rate them on the tooth ?? Nice fish, were these the ones you guys got on your kings trip?